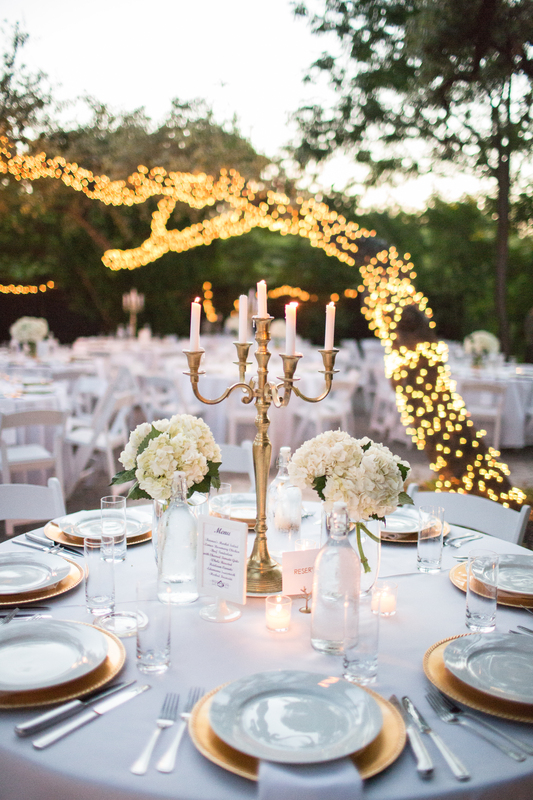 The Allan House was the perfect venue for this white and gold wedding reception! 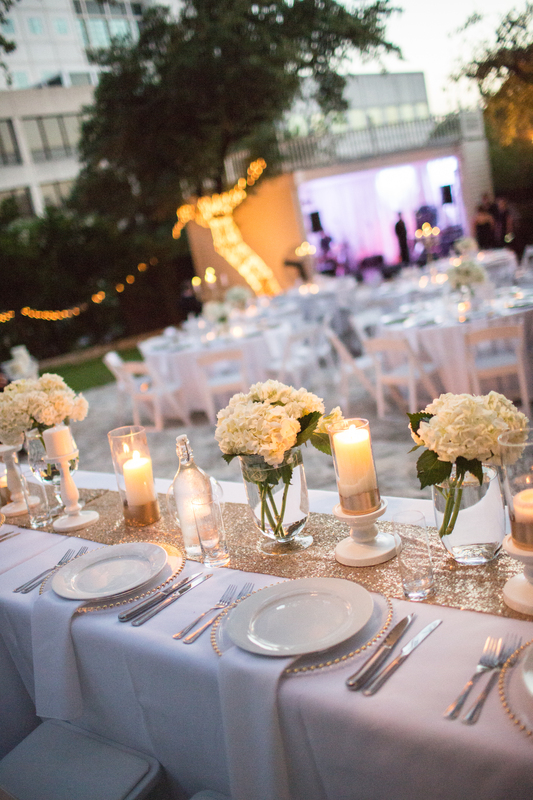 The white just makes that gold pop! 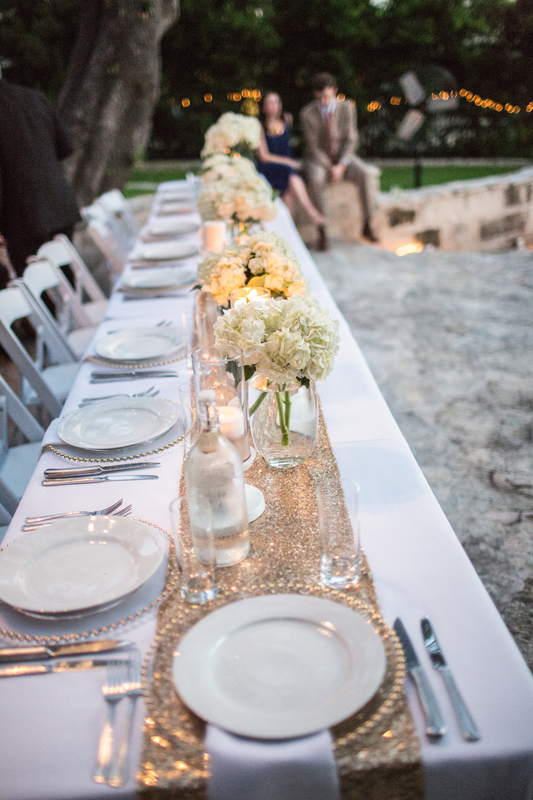 I love the way gold was used in this reception – gold sequin runners, chargers, and candelabras are a perfect way to bring gold into the mix. 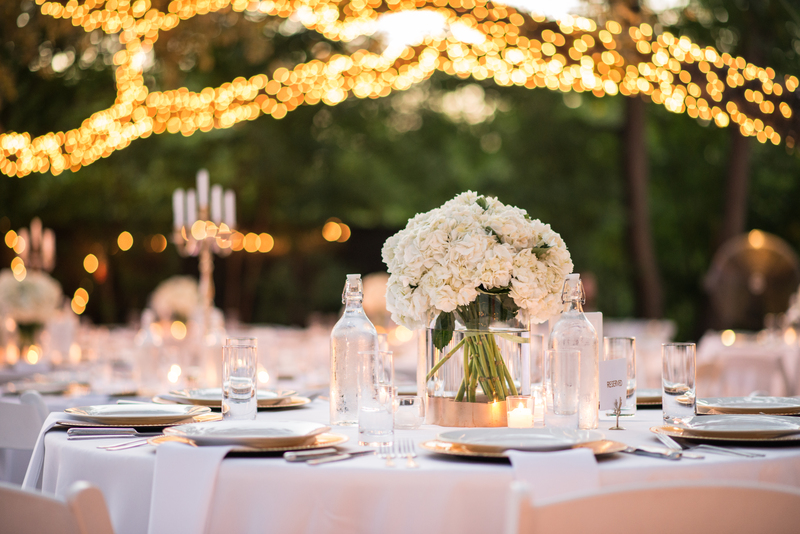 Using different chargers and accenting your head table with a runner adds that extra little something to make your head table stand out. 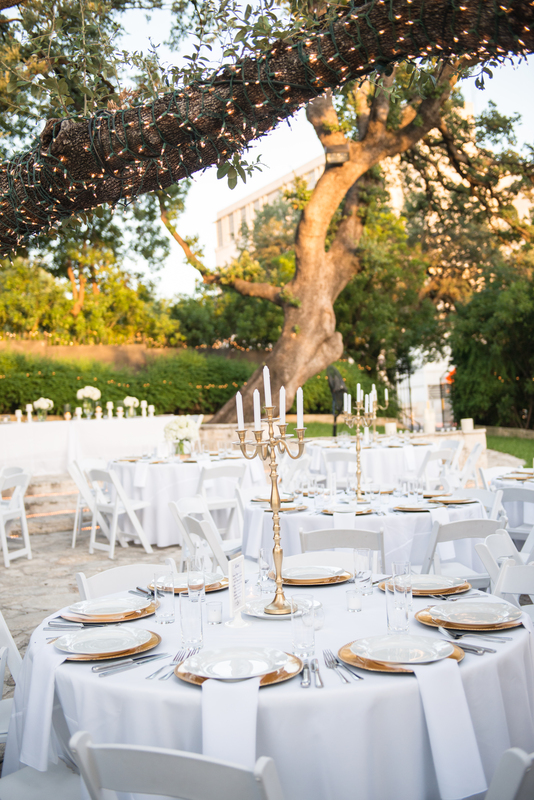 Please enjoy these perfectly captured reception details by Sweet Louise Photography. 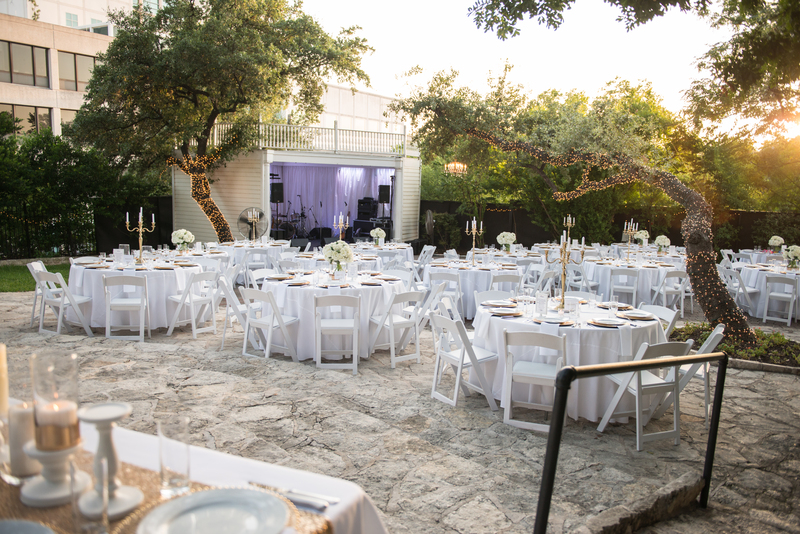 This entry was posted in Weddings with Premiere Events and tagged Allan House, Austin Event Rentals, Austin Party Rentals, austin wedding rentals, Candelabra, chargers, gold, Modish, Premiere Events, reception, royal fig, Sequins, Sweet Louise Photography, Wedding, white. Bookmark the permalink.